The Progress Principle: Using Small Wins to Ignite Joy, Engagement, and Creativity at Work (©2011, Harvard Business Review Press: Cambridge, MA) by Teresa Amabile and Steven Kramer is based on an extensive study that tried to find out what it takes to be highly productive. What they found was that most of what matters is below the surface and not well understood by most of today’s managers. You can find a summary of their secrets here, and get the entire picture in this must have book. 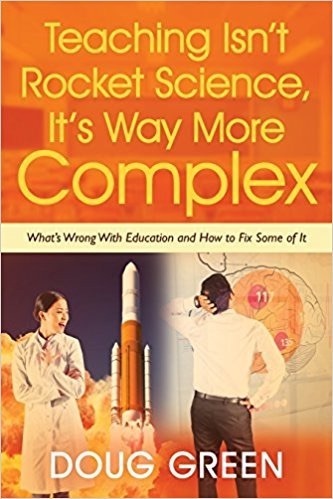 While it is not an education book, I find that the principles they have discovered apply well in school settings for use by teachers and administrators. This entry was posted on Wednesday, September 7th, 2011 at 1:09 pm	and is filed under Book Summaries, Business Books, Leadership Books. You can follow any responses to this entry through the RSS 2.0 feed. You can leave a response, or trackback from your own site. Oops, your headline says Principal (at first I thought the book was going to be about school principals who are progressive) but it should say principle.